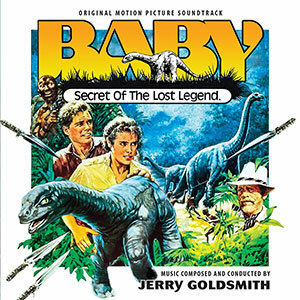 Intrada presents an updated release of Jerry Goldsmith's 1985 score to Baby: Secret of the Lost Legend. Intrada mastered the earlier release from a DAT transfer of Jerry Goldsmith’s personal 2-track stereo mix of the print takes on ¼” stereo tape, made by mixer Shawn Murphy in the early 1990s when Goldsmith was dubbing much of his analog library over to the relatively new digital tape format. For this 2018 remastering of the complete score, Intrada was provided access to everything from the September 1984 sessions, maintained in pristine condition in the vast Disney vaults. These included the original 32-track scoring session masters as well as the multi-track digital mixes made by Murphy from the 32-track elements. One anomaly from the previous release has now been corrected — Goldsmith’s copy of the mixes included a couple of tracks, in particular the lengthy finale of the score, “Baby’s Alive,” playing back at a slightly slower speed than what should have been the case. Finally, in addition to remastering everything, this release includes five previously unreleased “extras”— source cues that include three pieces by the composer’s son, Joel Goldsmith, working with lyricist Sidney Barnes on two and Debrah Neal on the third and two traditional source tracks. 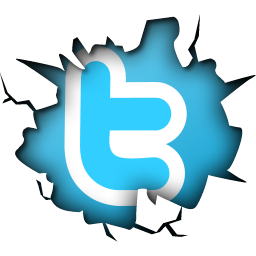 These are heard in the film in truncated versions but appear here for the first time in their entirety. Baby was the first of many impressive scores delivered by Goldsmith that year, a year that included Rambo: First Blood Part 2, Explorers, and King Solomon's Mines. Interestingly the break-loose, thundering action music in Baby most resembles the action music in Rambo, where Goldsmith chose to focus on his aggressive action style for the relentless chase sequences. Baby was a particularly challenging assignment for Goldsmith. Coming eight years before the CGI revolution and Jurassic Park, Goldsmith needed to come up not only with an exciting dinosaur theme, but be the emotion and character of the somewhat inexpressive rubber baby dinosaur character and endear it to the audience. He also had to express the familial instincts of the two adult dinosaurs, their anger and anguish as they confront the dinosaur hunters, and the baby dinosaur's developing bond with the human couple (played by William Katt and Sean Young). Goldsmith also had to characterize the Sunufu tribesmen, flesh out the atmosphere of the African location photography, and provide the driving rhythms that would propel a number of elaborate action scenes in the film. The result: Goldsmith delivers a score that compares favorably to masterpieces like Legend and Rambo 2, in a way creating a satisfying synthesis between the fanciful, exotic fantasy of the former and the hard-charging, relentless action of the latter. The film follows the story of a young paleontologist (Sean Young) on an expedition to Central Africa, where she eventually runs afoul of the expedition's leader (Patrick McGoohan), who is on the trail of living dinosaurs rumored to be roaming deep in the African jungle. When the paleontologist and her husband chase a dinosaur clue, they do discover a family of sauropods. A band of rogue military men is not far behind, however, and soon the father is killed, the mother is captured, and the baby escapes with the paleontologist and her husband and begins an exciting race to freedom.